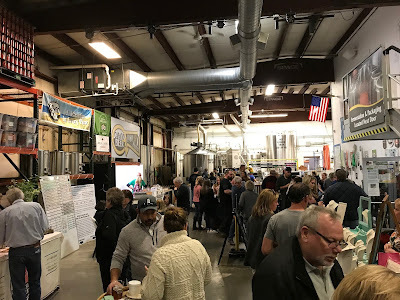 Welcome to another installment of Brewery Reviewery, here at Enuffa.com, where I visit a local purveyor of craft beer, sample some flavors, and report back. 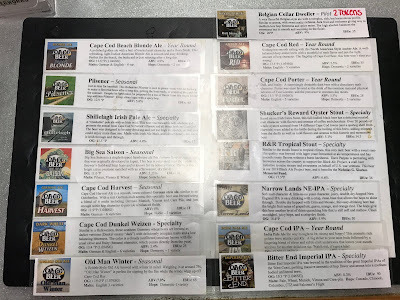 This past weekend I hit up Cape Cod Beer in Hyannis, MA, where no fewer than 15 beers were up for the tasting, plus a whole lot of other local goings-on. 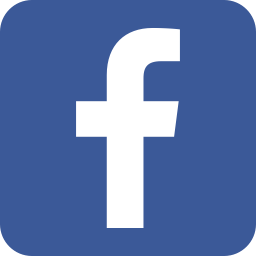 The tasting room is located in part of their warehouse building, behind the retail store (which offers take-home growlers, cans and official Cape Cod Beer merch). In addition to beer pours there was a slew of local vendors peddling their wares, from specialty salts to hot sauces to crafts. The brewery also features a pop-up kitchen with rich & tasty comfort food. JB: This New England-style IPA was a little less citrusy than I could've wished, but it was balanced and pleasant, and easy to drink. I've recently become obsessed with NEIPAs so I go out of my way to try new ones whenever I can. This one was alright. JB: I'm a big fan of saisons and this was one of the standouts of the day, with a good mix of citrus flavor and a bit of spice. I ended up buying a couple four-packs of this, both because I really enjoyed it and because as a seasonal offering it was 50% off. Lovely stuff, this one. JB: I love stouts, and this one is super smooth, with some rum sweetness and a rich caramel feel. The idea of stouts in tropical climates seems counterintuitive, but this would go quite nicely with a relaxing day on the beach. JB: On paper this sounds bizarre - beer brewed with oysters? But this had a nice dry flavor and the very subtle hint of seafood actually complemented it well. It drinks more like a black lager, with understated notes and a crisp feel. JB: Since it was St. Paddy's Day weekend I had to try the Shillelagh, a very agreeable Irish pale ale with a balanced malt flavor and crisp finish. My father-in-law fell in love with this one and made it his session beer for the day. JB: This was the top of the heap for me. I've been a Hefe enthusiast for years and Dunkels bring the same spicy goodness with a slightly richer tone. This right here is a delicious goddamn beer. Sadly Cape Cod only brews this one for Oktoberfest, so they ran out before I could follow this taster with a full Dunkel pour. I'll be picking up some of this in the fall. JB: Probably the most easy-drinking of their rotation, the Blonde is basic, simple and classic. Balanced, slightly sweet, and light enough to leave plenty of room for another one. JB: I finished the evening with the brewery's flagship, a malt-forward red ale reminiscent of Sam Adams Boston Ale but with a sweeter overall flavor. This one is rich but not too heavy and has an eye-catching deep red color. Cape Cod Beer offers a very wide selection of flavors in a fun, casual atmosphere, and on a Saturday there's plenty of other stuff going on there to keep you engaged while you sample. 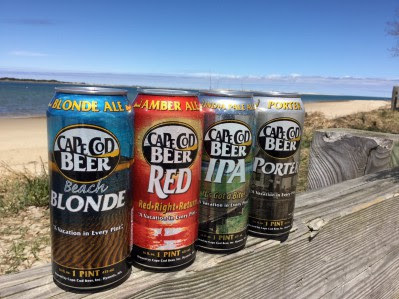 Whether you live on the Cape or are planning a visit, be sure and stop in for some delicious brews!